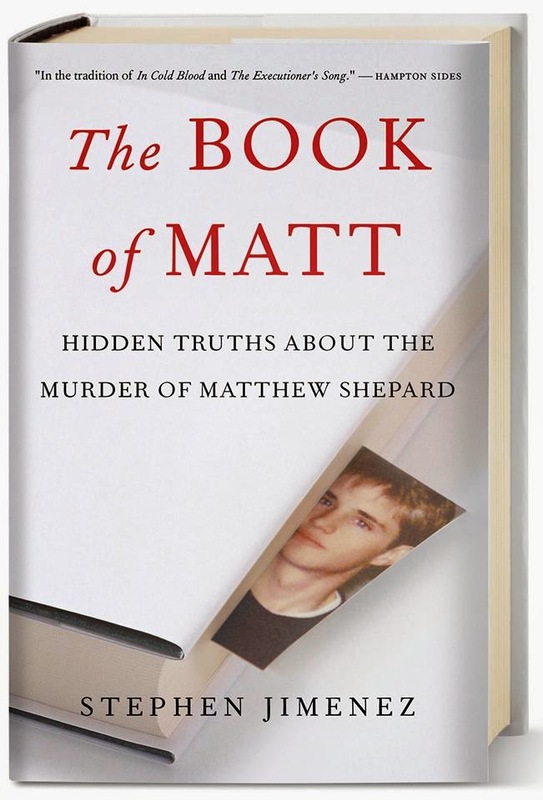 Stephen Jimenez is the author of The Book of Matt: Hidden Truths About the Murder of Matthew Shepard. A journalist, writer, and producer, he has worked for ABC News, Dan Rather Reports, Nova, and more. He lives in New York and Santa Fe. Q: You write that “what compelled me as a writer and a gay man to go to Wyoming was neither the brutality of the murder nor its suddenly iconic place in the national landscape.” Instead, you say it had to do with Matthew Shepard’s father and what he said at the sentencing of the man who killed his son. What exactly was it that first pulled you into this story? A: A few things. First, I think it really drove home to me what a loss it was for this family. The statement really grabbed me emotionally. … It became very clear that a huge hole was left in the life of the family. I felt that the statement was almost as if Dennis Shepard was speaking to sons and daughters everywhere, and talking to parents everywhere. There was a universal quality to his statement. It also hit me in terms of my relationship with my own father. Also, I felt that the story was told in much shorter news stories, and…deserved a longer treatment. Q: Some of the conclusions you draw have been controversial. Did you expect that when you first began the project? A: Of course, I knew the book was going to stir debate. How could I be surprised, given that [it involved] a crime with such significance, a turning point in the culture around gay rights and violence against gay people—I knew it would stir discussion. Q: You write, “It would…be a disservice to Matthew’s memory to freeze him in time as a symbol, having stripped away his complexities and frailties as a human being.” What do you think those who see him as a “symbol” are missing? A: To me, this is a classic American tragedy. What is missing to me, if we freeze him as a symbol and believe the entire tragedy was caused by anti-gay hate, is that the same crime could happen today, and our understanding of the human complexity of the story would be [lost]. Matthew suffered with a lot of issues. The original media story was that two homophobic rednecks targeted Matthew because he was gay, and that they were strangers [to him]. In the book, I trace several iterations of the story. One is the [story that appeared in the] popular media. One is Aaron McKinney’s girlfriend’s version, that Matthew made a sexual advance, and they [Aaron McKinney and Russell Henderson] decided to beat him up and teach him a lesson. Then there are Aaron McKinney’s versions. In one of his versions, Matthew Shepard asked for a ride home. Later, he said that in the truck, Matthew reached over and grabbed his leg. For me, part of this was looking at what’s really going on. This was a significant change in the story. [If you see that] there was a friendship for months between Matthew and Aaron, that creates a very different perspective. Many reports at the time stated that Aaron McKinney and Russell Henderson were equally involved, and had the same motive of homophobia. 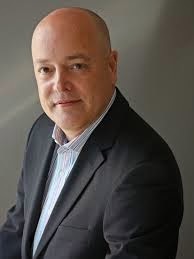 Russell Henderson’s involvement was grossly misunderstood…. McKinney was a meth addict, he had been [actively using drugs] for a week [before the murder], and he and Matthew had a prior relationship. This is not to say that [there was no hatred], you can’t have a crime this violent and not have hatred. But I am trying to distinguish between hatred and what a hate crime is in the legal or technical sense. This was, as far as the public was concerned, a de facto hate crime. Matthew was targeted because he belonged to a group of people. The question is, is that true?…The human complexities—it really alters our understanding of the [Shepard] case. But it doesn’t attempt to excuse the crime. Q: What are some of the lessons you think could be learned? People who are experts in the field of drug abuse will tell you this is the worst [drug] they’ve ever seen. Awareness about this drug, drug abuse, alcohol abuse—prevention with particularly the young, is one important lesson. Another is, with a significant case, looking at how does the media treat it. It went for the most graphic, shorthand [approach]—stating that it was a crucifixion--that Matthew was hanging on the fence in the manner of Jesus. It never happened. Matthew’s mother has stated that it never happened. The story has been repeated, even today. It’s how the media tells a story, and how we as citizens are receiving information. Also, it’s important to look at politics and how they can take place in a case like this. In 1998, earlier that year, the gay community was under siege. Trent Lott made a comment about gays being sinners, Pat Robertson made a statement….the community felt under siege from the religious right. When the attack happened, it was just four months after the dragging death of James Byrd. A hate crimes bill was stalled in Congress. And this was when Bill Clinton was clinging to his presidency during the Monica Lewinsky scandal…. What happened to Matthew Shepard was an important moment of national awakening for the country. People were startled awake by the horrific violence of the crime and where it happened. It jolted them awake. It was very important for the country to see that there is violence against gay people. People say the book could hurt gay rights. I say, by understanding human complexity, it will not take away from gay rights. There’s a movement toward gay marriage, gays in the military; the arguments are strong. I find it offensive as a gay man that we are not entitled to look at human complexity like everyone else. We don’t need a one-dimensional figure. Am I going to think less of Heath Ledger or his performance in Brokeback Mountain because he had an addiction problem? No…. What happened was murder, but there were tragic circumstances before that night. The world of methamphetamines that Matthew was swept up in has devastated a lot of lives. Q: This book took many years to write. What about it kept you working on it for so long, and was there anything that particularly surprised you as you researched the book? A: First, when I finished the ABC News piece [about the case] in late 2004, my producing partner and I had come on some new information that in some cases required further reporting. We said it was apparent that Aaron McKinney and Matthew Shepard had known each other, but we didn’t go into great detail. The deeper I got into that, that was certainly something driving me forward to try to understand what were the factors that came into play the night of the attack. What was very interesting to me was that there were people on both sides, Aaron McKinney’s and Matthew Shepard’s, cases involving drug dealers. It took me a long time to gain access to these records…. Q: You write at the end of the book about visiting Wyoming in April 2013, and seeing various people you got to know in the course of writing the book. Are you still in touch with them now? A: I’m actively researching a few things. Some fictional screenwriting to take me away; I’ve been working on this [book] for a long time and talking about it for months. I’m researching a couple of new book ideas. In the early stages, there was a lot of reaction to the idea of the book…Only two or three LGBT journalists were willing to write positively about the book; that has changed.…More and more LGBT people got behind the book. Early on, it was, This guy shouldn’t have written this book. What I’ve noticed is that it has been an arc over time. The discussions will continue; the paperback will be out in September. There will be more conversations in the fall; I’m writing a new epilogue for the paperback. New sources have come forward since the book was out, adding more validation to what I’ve said in the book. --Interview with Deborah Kalb. Stephen Jimenez will be participating in the Bethesda Literary Festival, which runs from April 11-13, 2014. For the full schedule of events, please click here.